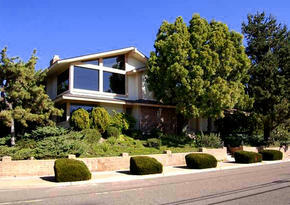 McKee Property Management is one of Del Cerro’s leading property management and leasing companies. Since 1982 we have helped thousands of Del Cerro property owners with their management and leasing needs, and we continue to be an industry leader in the markets we serve. We invite you to learn more about us, and our innovative systems that help us rent your property faster. Signage – McKee Property Management has gained the reputation as an industry leader in the Del Cerro rental market. With over 30 years in the industry, our signature green and blue FOR RENT signs have become a familiar sight around San Diego County. 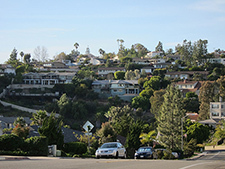 Del Cerro (Spanish for "of the hill") is a wealthy hilly residential neighborhood of approximately 2,300 residents in the eastern part of San Diego, California. Del Cerro borders the communities of San Carlos, Allied Gardens, College Area, Grantville, and the city of La Mesa, and is adjacent to Lake Murray and San Diego State University. For planning purposes the city includes it in the Navajo community planning area. The Del Cerro community began in the late '50s, when Jackson Scott, the first developer to come to the area, purchased the flatland south of the hill and began to build houses, most of which remain today. Up on the hill, homes are bigger. They hug the slope as they stair-step up the mountain, decks looking out over the city. A few have fenced off this hillside land, edging it with tiny gardens. Many are single-story ranch-style homes, and all boast well-tended front yards, however small they may be.